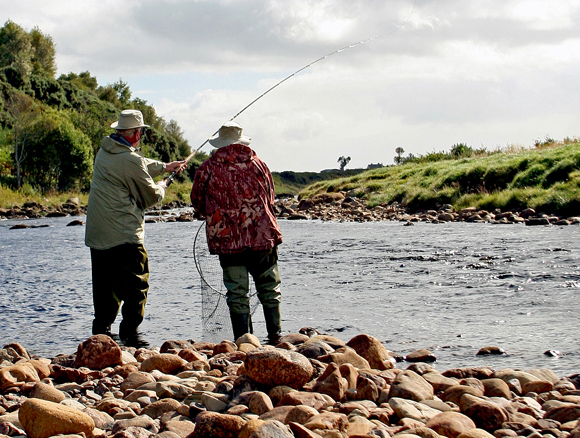 One of Sutherland’s best salmon rivers, the Brora has a catchment area covering 165 square miles. 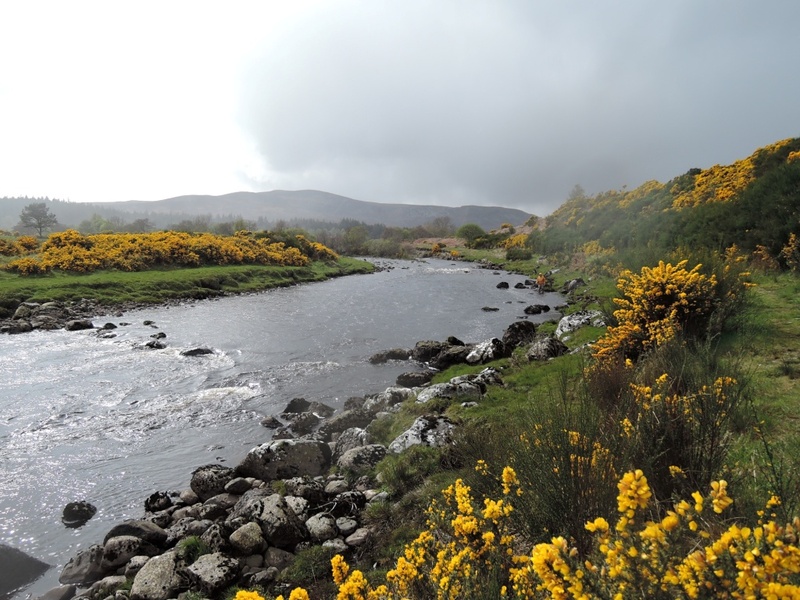 The two main tributaries, the upper Brora and Blackwater meet near Balnacoil, and after a short run enter Loch Brora, a sheet of water four miles long and a mile wide. The Lower Brora flows from the loch for about three miles through some delightful countryside before falling into the sea. The north and the south bank are operated on a rotational arrangement whereby tenants, although fishing their own bank, never fish opposite each other. There is an ongoing programme of river improvements to enhance the fishing in all conditions, and a feature of the lower river is that it often fishes best in low water. 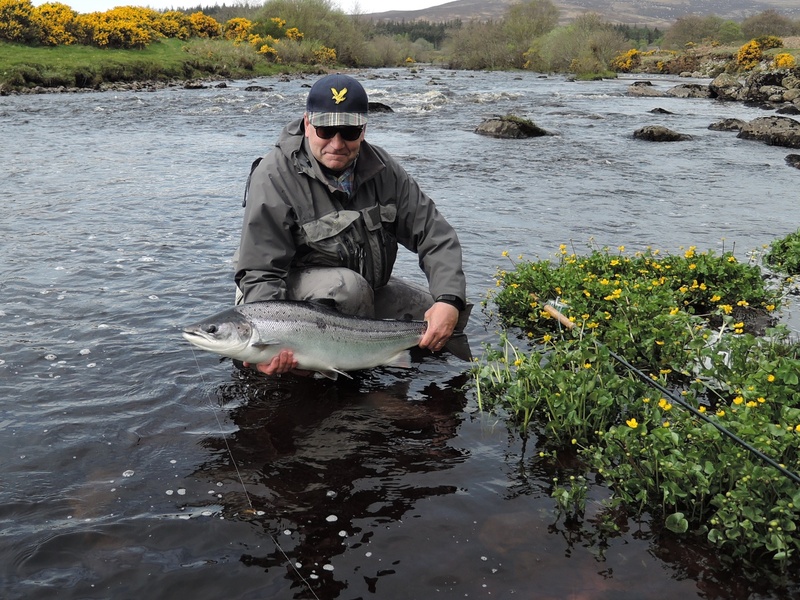 Apart from providing some wonderful fly water, The Lower Brora enjoys a full season from February through to October, and continues to enjoy a consistent spring run, excellent summer grilse fishing and a true autumn run in September and October, with fresh fish being caught up to the last day of the season. The Lower Brora flows from the loch for about three miles through some delightful countryside before falling into the sea. It is split into two beats, each fishing four rods and the north and the south bank are operated on a rotational arrangement whereby tenants, although fishing their own bank, never fish opposite each other. There is an ongoing programme of river improvements to enhance the fishing in all conditions, and a feature of the lower river is that it often fishes best in low water. There are now 29 named pools including the Ford, Rallan, Bengie and Madman. Bank can be accessed by vehicles. North Bank access is good, and there is a recently modified hut in the middle of the beat. 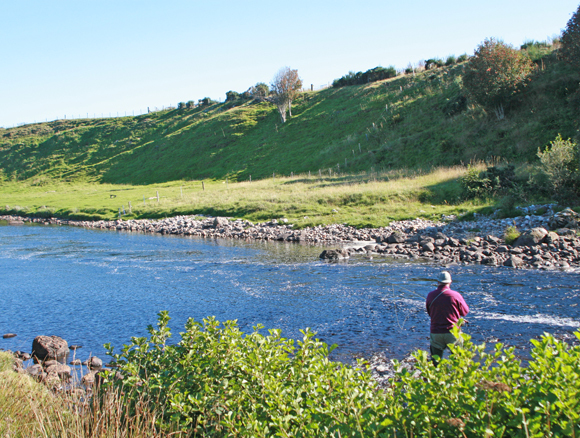 Apart from providing some wonderful fly water, The Lower Brora enjoys a full season from February through to October, and continues to enjoy a consistent spring run, excellent summer grilse fishing and a true autumn run in September and October, with fresh fish being caught up to the last day of the season. In recent years, catches of over 20 fish per week have not been uncommon, one week recording over 40 fish during two consecutive seasons. 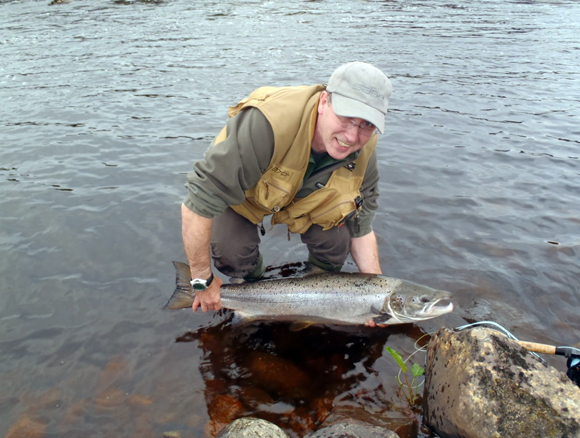 A recent highlight was the 30lb fish caught in July 2011. There are no resident ghillies although ghillies can usually be arranged given adequate notice. One fish under 10 lb per rod per week can be kept. As the water drops it is down to personal preference but a light line and stealthy approach strongly recommended. Spring- Black and yellow, Kylie, Ice Maiden, Monkey, Willie Gunn. Generally dressed on tubes with a wing length between 1.5 and 4″. A selection of aluminium, copper and conehead dependent on water height, temp and sinking speed of line. Summer/Autumn- Stoat, Silver stoat, Cascade, Red Ally, Park Shrimp, Kylie, Willie Gunn, Collie, small hitch tubes. A selection of sizes from a no 6 in the peak of a spate all the way down to 14 and below if they can be sourced. The inventor of the Willie Gunn hails from Brora and it is often noted that the only flies needed for the Brora are the Willie Gunn and the Allies Shrimp. Generally thigh waders sufficient as deep wading generally counter productive. Chest waders for warmth in the spring. Lodge accommodation can be arranged with prior notice.